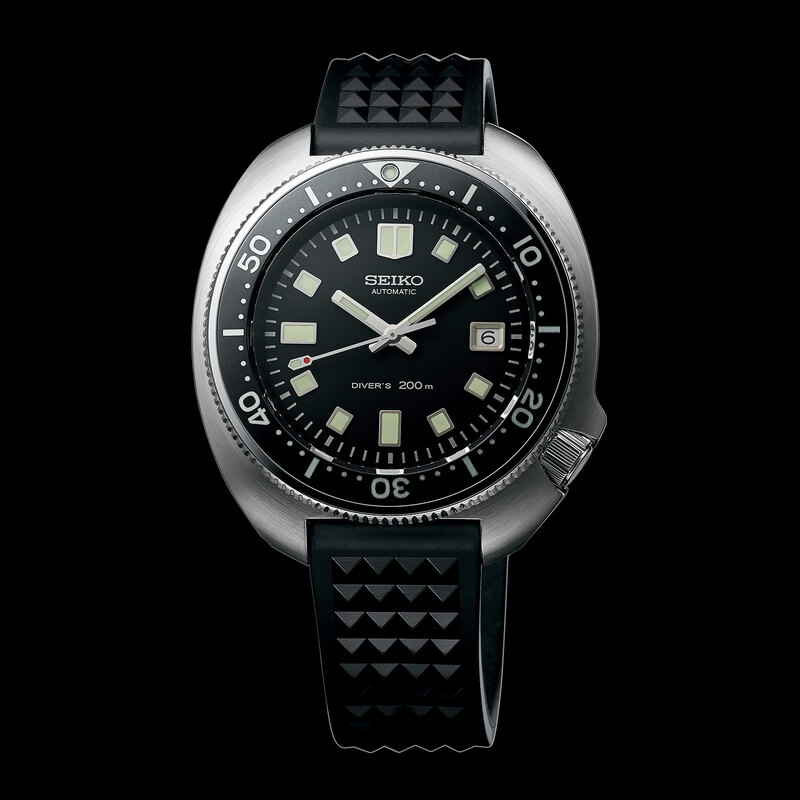 Seiko is continuing with its streak of vintage dive watch remakes with the Prospex 1970 Diver’s Recreation, a replica of the vintage ref. 6105-8110 with its distinctive turtle-shaped case. 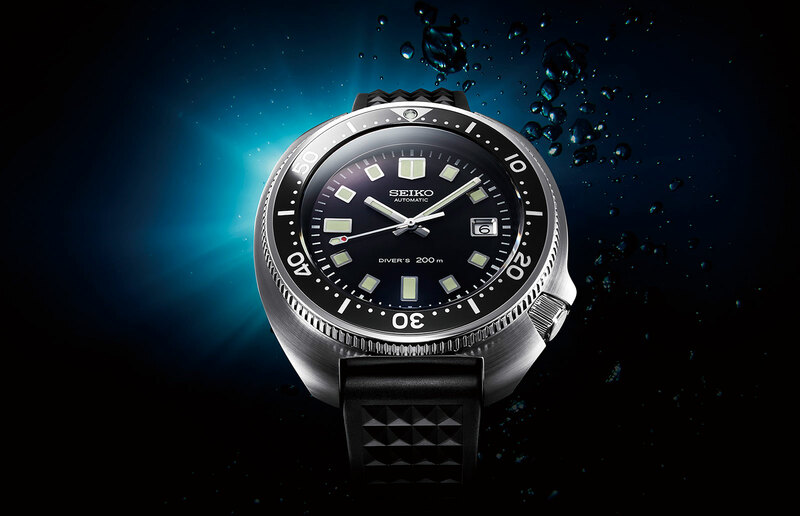 Like Seiko’s earlier remakes, including last years Hi-Beat Diver 1968, the 1970 Diver’s Recreation retains the original design, while having an improved finish and modern day movement. 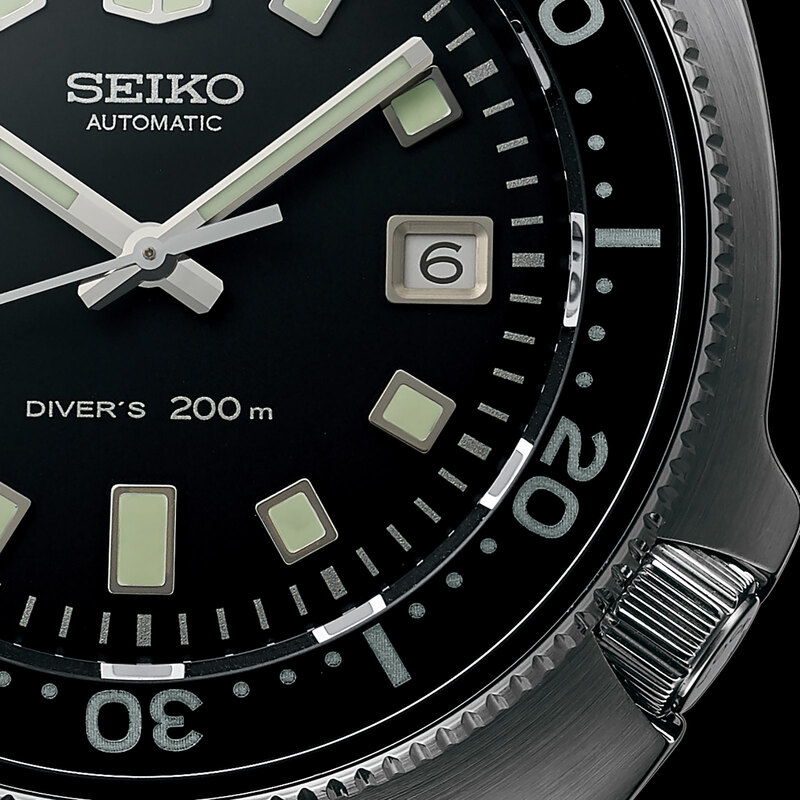 The 1970 Diver’s Recreation is 45mm in diameter, slightly and indistinguishably larger than the 44mm original. And it is rated to 200m, an increase on the 150m of the original. 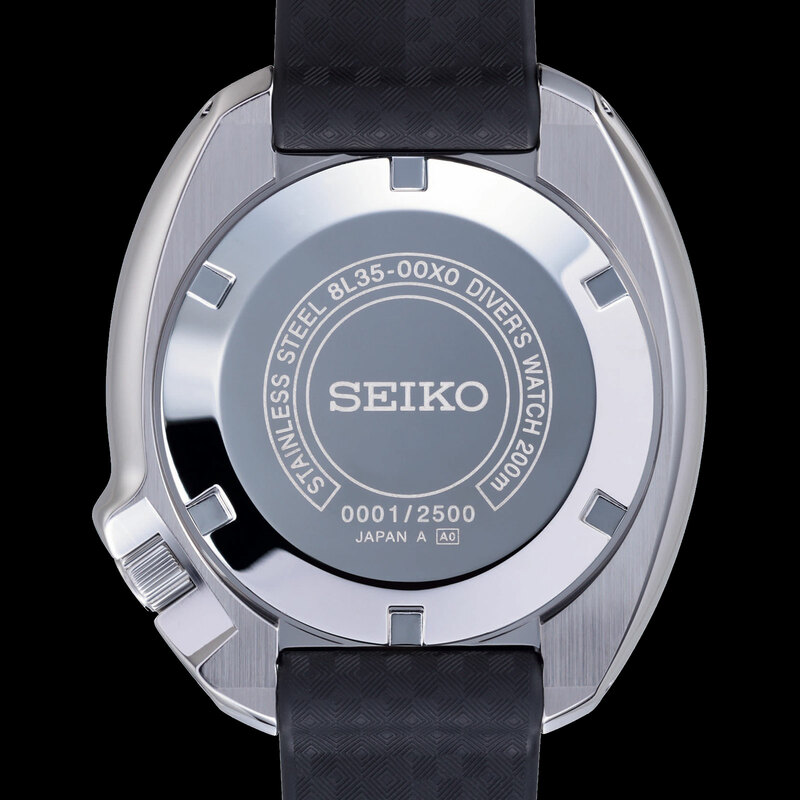 Made of steel, the case has been treated with a “super hard coating” that’s known as “Diamond Shield” in Japanese. Essentially a carbon-based coating, the treatment increases the scratch resistance of the case surface. Notably, the uppermost surface of the bezel is polished with the Zaratsu technique. Accomplished with a specialised machine, Zaratsu creates exceptionally flat, mirror-polished metal surfaces, but is typically found only on higher-end models, primarily Grand Seiko. It’s fitted with a domed sapphire that mimics the look of the original mineral crystal but adds the advantage of being almost scratch-proof. The dial is typical 1970s, with large square hour markers and wide baton hands. It’s equipped with the 8L35 movement, an automatic with a 50-hour power reserve. Limited to 2500 pieces, the Prospex 1970 Diver’s Recreation (ref. SLA033, or SBDX031 in Japan) is priced at US$4250, or 450,000 Japanese yen. It’ll arrive in stores in July 2019.